You’re in class and suddenly out of nowhere, it strikes you – boredom. You know that your teacher would frown upon it or, worse, reprimand you in front of your classmates if she caught you playing with your tablet during class. But what to do in these extremely trying times? Try a DIY iPad case made from a Composition Notebook! Having long earbud cords is great because they let you move around a bit and you don’t have to worry about yanking out the plug because of sudden movements. But there are times when those long cords become a hassle. There are some great earbud carry cases, including over 160 college logo BudBags – mini earbud duffles. To go the DIY route, we found this great idea from Instructables! 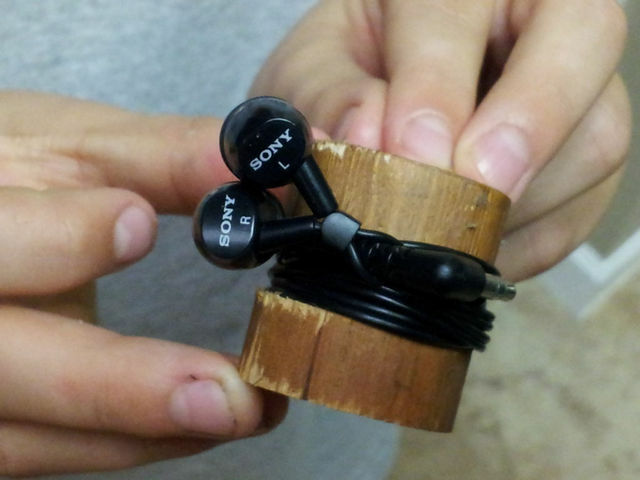 A DIY earbud holder is a welcome sign that someone cares about your plight. Here are the instructions that will make you one and end all your cord-related frustrations.